Response papers allow students to focus less on research or academic concepts and instead write from their unique perspective. 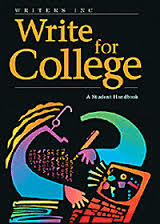 At the college level, response papers allow students to focus less on research or academic concepts and instead write from their unique perspective. While review or reaction papers require students to remain impartial and focus only on the effectiveness of an author’s writing, response papers allow for a more personal tone, one that reflects the writer’s personal standing as it pertains to the issue at hand. The response paper is not strictly one of emotion, however. Instead, readers must find the balance between providing an evaluation of a given piece based on specific elements such as argument, evidence, and conclusions and offering one’s unique thoughts and emotional response. When this latter element is supported by evidence and critical analysis, however, it fully demonstrates a student’s ability to write a response paper. When writing a response paper, there are several elements that students should keep in mind. First and foremost is understanding the argument or position the author put forward in the assigned reading; without fully understanding this, it is impossible to respond appropriately. Second is how one personally feels about this particular argument or position; this should incorporate one’s emotional reaction as well as one’s reaction after thinking more critically about the topic. When writing the response paper, this position needs to be elaborated upon substantially enough that the reader can understand one’s personal response; failing to develop one’s opinion thoroughly can detract from the overall effectiveness of the response paper. Finally, the author of a response paper should consider real-world applications of the principles being discussed; this evidence can be used to support or refute the position made by the author of the source material. Including this element offers evidence of a practical understanding of the concepts at hand and gives them a sort of context to support the position expressed in the response paper. Rhetorical Response - Rhetorical Response Research Papers examine how to order a response to an essay, with giving specific details on what should be included. Response to Intervention - Response to Intervention Research Papers examine this study system designed to help students that are struggling academically and provides quality, research based intervention. Response Essays - Paper Masters shows students the proper methods to use when writing a response essay. Generally, response essays are written to respond to a reading, article, book or other material that is given to read. Dewey Response/Reflection - Dewey Response/Reflection research papers explain John Dewey's visionary series of essays in Education and Experience. Critical Reflection - Critical Reflection Research Papers deal with personal experience which the writer must then be critical during reflection. Education Reflection - Education Reflection Research Papers delve into an order placed on a summarization of the information that has been learned throughout the semester and organize it into a paper. Reflection of e-Portfolio - Research papers discuss the elements of the e-portfolio. Argumentative Essay - The purpose of an Argumentative Essay is to sway your readers to accept your point of view on a certain topic. Position Papers - Position papers from Paper Masters are invaluable in learning how to write your own English 101 position paper.